Active Air Rentals, a leader in cooling, heating and power rentals today announced the purchase of over $1.5 million of new equipment. The purchase includes more than 100 portable air conditioners, 45 packaged air conditioners and a large assortment of air handlers, chillers and the latest generation of silent generators. “With over 40 years in the business and a strong reputation for quality we know our customers expect the best. We want to ensure our customers are getting the newest equipment that is energy efficient and environmentally friendly.” Said Brad Sweeny, Active Air Rentals Director. Ranging in size from 3.5kW through to the unique 20kW portable units that can be wheeled through a standard doorway. The portable air conditioners are ideal for offices, retail, server-rooms and any other such environment. Ranging from 18kW to 128kW, the packaged air conditioning units are placed outside the cooling area with the conditioned air ducted in via specifically tailored air distribution methods. These units are ideal for buildings, marquees, events and emergency accommodation. 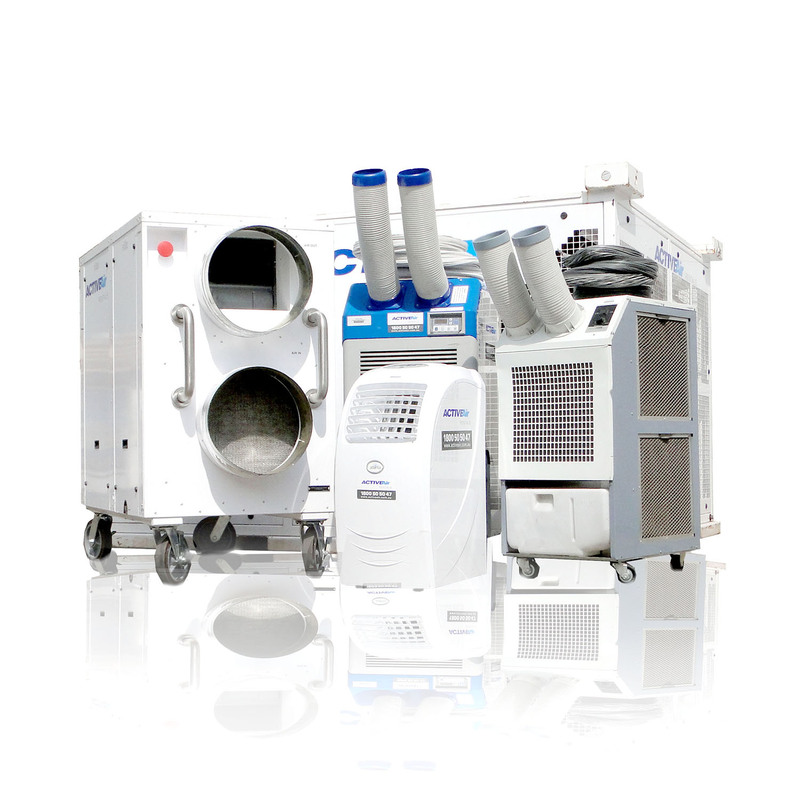 The air handlers range from 110kW to 350kW and can be used either inside or out as a temporary measure to provide large scale air conditioning. They are ideal for supplemental cooling support, events, warehouse cooling and industrial facility cooling. Ranging from 60kW to 1100kW in both standard and low temp, our large range of fluid chillers are used in manufacturing, hospitals, construction sites, events, building maintenance shutdowns and a host of other cooling applications. Ranging from 6kVA to 500kVA the silenced generators use the latest technology making them run smoother, producing less noise and vibration. As such, they have a significantly lower impact on the environment, burning less fuel and outputting less exhaust. The generators are available on both trailer and skid mounts.